Weighing in at 18,239 pounds (!! ), Qzina Specialty Foods’ chocolate model of an ancient Mayan temple has broken the Guinness World Record for largest chocolate sculpture. Corporate Pastry Chef Francois Mellet and MOF (Meilleur Ouvrier de France or Best Craftsman in France) Stephane Treand led their team in building the winning work. 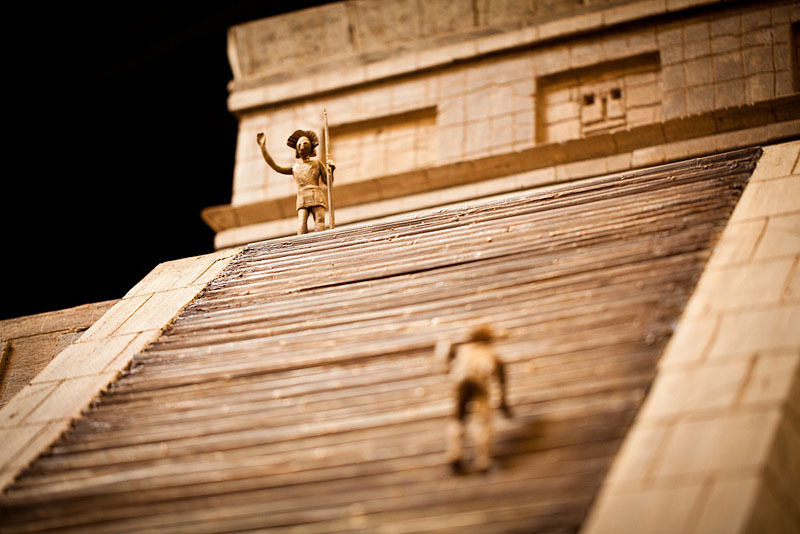 With a 10ft x 10ft square base, and measuring 6 feet high, the chocolate sculpture—which pays homage to the Mayans’ role in the origins of chocolate—accurately recreates the details of a Mayan temple. 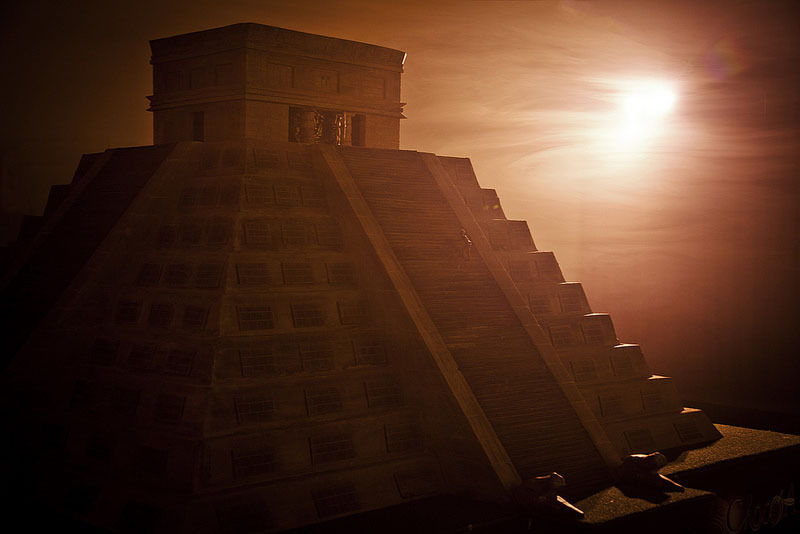 The sculpture will be on display at the Irvine-based Qzina Institute of Chocolate & Pastry from June 4 to December 21, 2012, the end of the Mayan calendar year, when it will be destroyed. If you like this, you might also like Sonja Alhauser’s work. This entry was posted in Architecture, Art, Food, Fun, Just Plain Cool. Bookmark the permalink. Looks very impressive but I think I would rather just eat the chocolate!